Our Mission is to Leverage Technology to Innovate the Way Financial Literacy is Taught Throughout Disadvantaged Neighborhoods in NYC and Nationwide. 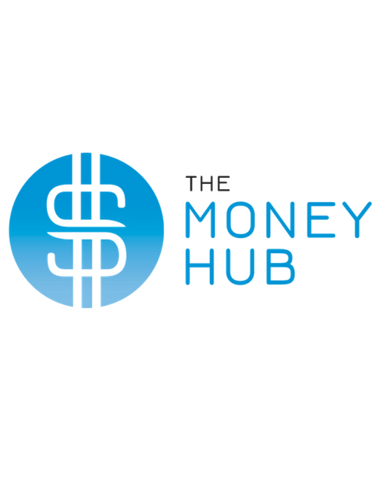 The Money Hub is a social innovation company established in 2016. Our inception is based on increasing financial literacy in disadvantaged neighborhoods of New York City and nationwide. 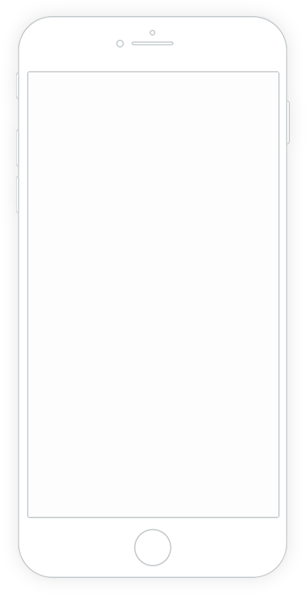 Most apps need to know the identity of a user. Knowing a user's identity allows an app to securely save user data in the cloud. We created three goals for you to accomplish in our app. First,learn how to plan. Then pay of your credit card bill. Lastly, learn to be wise with your money. 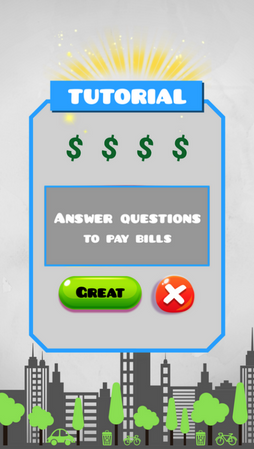 With over 70 questions of financial information available for you to answer and review while obtaining virtual money for getting questions right. 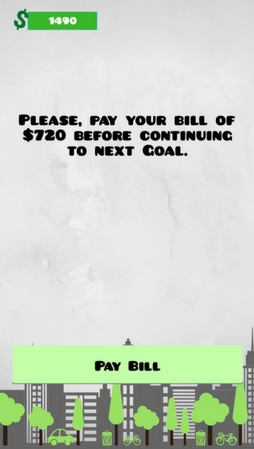 We created a virtual bill so that users can experience the ability to pay of their bills once they finish planning their goal. 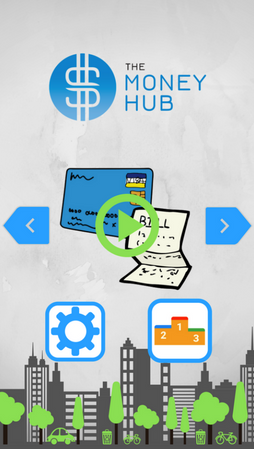 Here are some of the game features you will find on the Moneyhub app. Click on the icons below to learn more. 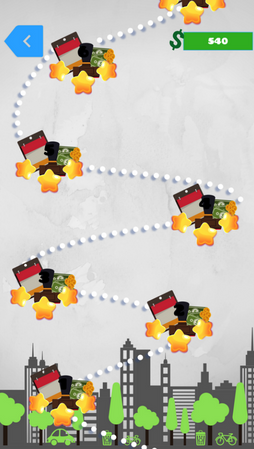 Here you will find the different goals, settings button, and game leaderboard button. 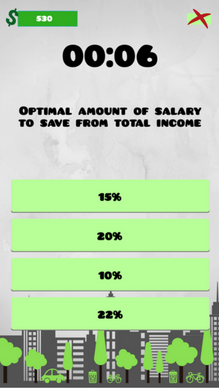 There are over 70 questions about personal finance. If you get stuck there is a remove wrong answer button to see the top two choices. However you lose virtual money when pressing this. 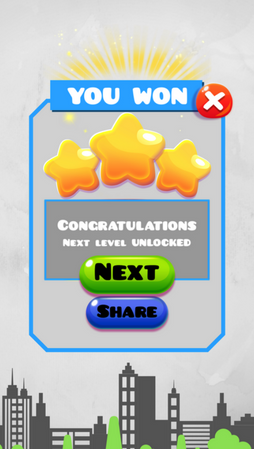 After completing a question the user will see how they did. The more stars the quicker and smarter the user understood the question. Each map contains 24 questions. Journey along as you explore personal finance. We created a virtual Bill in order to unlock the next goal. This gives the user and understanding of how to spend their money. 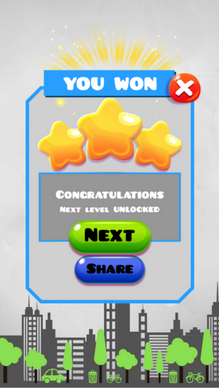 This screen helps give the user the understanding of how the game works. LET US EMPOWER OUR COMMUNITIES THROUGH FINANCIAL LITERACY. It all started on the basketball courts of Queens, where our Founder sought to connect with his childhood friends through the game of basketball. Through interactions he noticed that many were struggling financially. It was not like they did not work, they all had full time jobs. But the thought of savings, investing, home ownerships all seemed like a distant dream. This made him wonder, what did we learn in school that taught us about money management? And the answer is NOTHING. How We Solved This Problem? THROUGH WORKSHOPS WHICH ARE BOTH ENGAGING. WE CATER OUR WORKSHOPS TO UTILIZE ANECDOTES THAT ARE RELATED TO THE SITUATIONS THAT OUR AUDIENCES MAY FACE. WE GO OUR PRIORITIZE ANIMATED VIDEOS TO REINFORCE WHAT WE TEACH THROUGH COMPETITIVE GAMES. AND THEN THE STUDENTS LEAVE WITH OUR APP THAT WILL ALLOW THEM TO PUT INTO PRACTICE WHAT THEY LEARN AND START MANAGING THEIR MONEY. Why we created this app? To provide our current users the ability to continue on their financial journey after they have finished with our workshops. Additionally, we our goal is to use technology togoing enable us to reach a wider audience beyond our current target market, NYC. Available on the IOS app store. Download it today! © 2018 The Moneyhubnyc all right resurved.